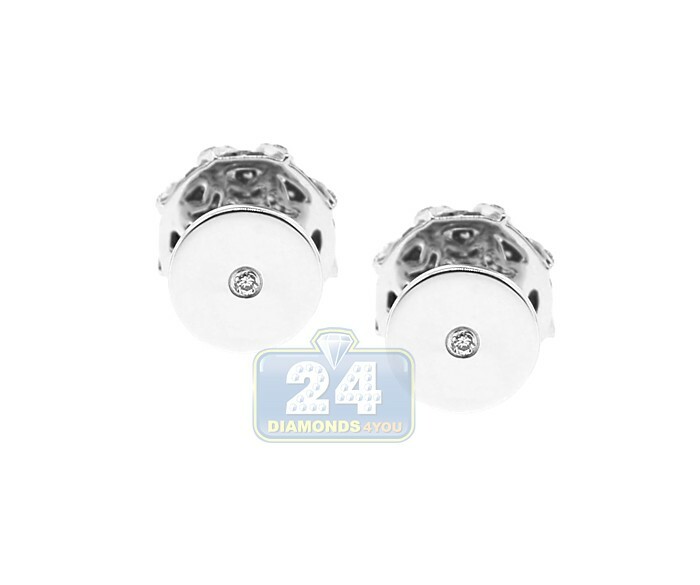 Make a perfect addition to your wardrobe with these handsome white gold cuff links! 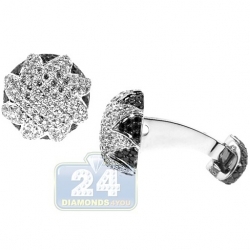 Professionally crafted in a lustrous 18K white gold, glittering star of white diamonds is surrounded by sparkling black diamonds to show off your expensive taste. One-of-a-kind design of this jewelry piece is perfect for special occasions! 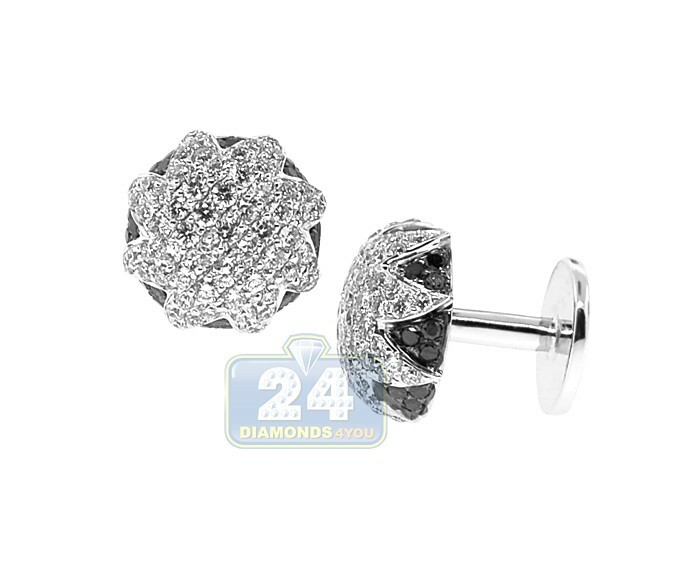 Featured 18k white gold 3.61 ct black diamond star mens cuff links are manufactured according to the highest jewelry standards by professionals with over 20 years of experience in the industry. The cuff links have approximately 3.61 carats total weight of diamonds, F-G color, VS1-VS2 clarity and weight 12.21 grams, 9/16 inches width of the single cuff link. The pair comes with a detailed certificate/appraisal. 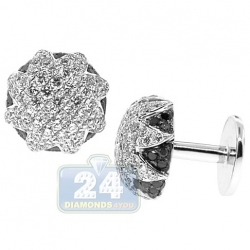 This set of cuff links needs to be produced specially for you. And it is considered a custom order item. The sale on it would be final: non-refundable & non-returnable. Please note that once the order has been confirmed, it cannot be canceled.